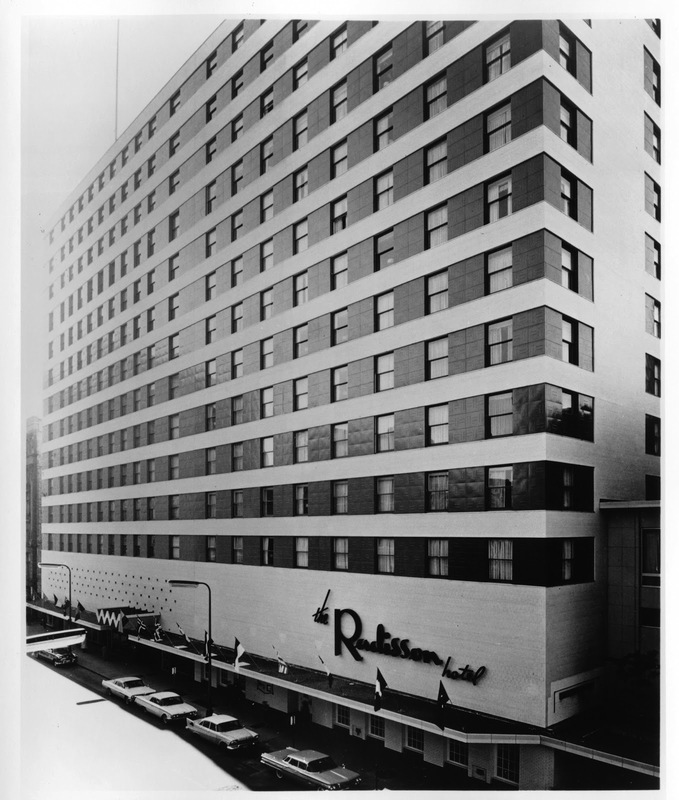 The first Radisson hotel opened in downtown Minneapolis in 1962. Exciting news for Style Jaunt readers! Radisson hotels chose my little blog to participate in the 50 Years, 50 Days, 50 Rooms campaign as part of the hotel brand's 50th anniversary. That means I'll be giving away a free night at a Radisson hotel to one lucky Style Jaunt fan. I can't reveal all of the details quite yet, but check back regularly in the next couple of weeks for more information and your chance to win! Radisson will be unveiling a new featured blog on their Facebook page for the next 50 days. So like the Radisson hotels Facebook page for more chances to win. What a cool contest. And wow, I had no idea that Radisson had been around for that long!